Eric & Anne are the visionaries behind Paws in Paradise Luxury Resort & Spa. 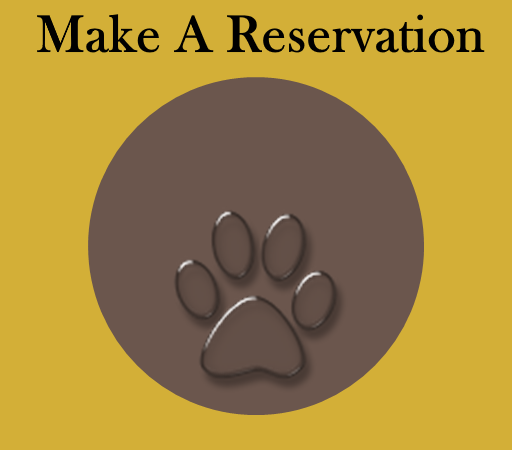 After moving from Michigan to the Augusta, Georgia area, they developed a plan to create a luxury resort for pets. Their plan meant the resort needed to be posh enough to pamper their fur children. In addition, it had to be cozy enough to allow time to relax while separated from their family. After months of planning, Paws in Paradise Luxury Resort & Spa became a reality. Anne received certification in Pet CPR and First Aid through Pet Tech. Eric and Anne completed the Level 1 Veterinary Assistant course through Augusta Technical College. Sophie grew up surrounded by dogs. This inspired Sophie’s love of snuggling with animals. She had a special bond with her deaf and blind rescue dog, Odin. Sophie regularly visits our guests and provides lots of TLC. She cannot wait to meet your pet! Morgan is the proud mommy of Zoe (cat, 7 yrs), Skylar (Border Collie, 5 yrs), and Jack (Rescue Mutt, 3 yrs). 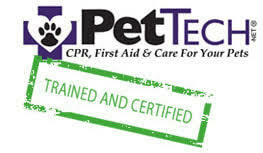 She is certified in Pet First Aid & CPR through Pet Tech. She completed the Level 1 Veterinary Assistant course through Augusta Technical College. MaryHelen has always had a love for dogs. After graduating from the University of Tennessee and spending many years in the corporate world, she decided her ultimate passion was to pursue a career as a pet stylist. She used to own and operate a dog salon in Middle Tennessee for 16 years. She sold it to relocate to Evans, Georgia to be near her son and his family. 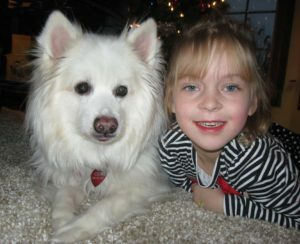 MaryHelen is a groomer graduate with emphasis in canine dermatology and nutrition. MaryHelen utilizes her creative talents in grooming each dog as she tries to capture their personality in their facial expressions. 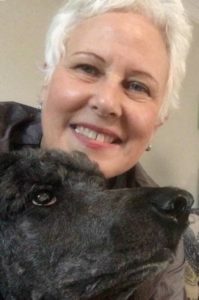 Her experience has helped her master the patience needed to handle nervous and difficult dogs with a soothing energy so as to bring calmness to the grooming experience. MaryHelen has 18+ years grooming experience, and participated in the Atlanta Pet Fair grooming competition in 2007, 2008, 2011, 2013, and 2014. She is Pet First Aid & CPR Certified by the National Dog Groomers Association of America. 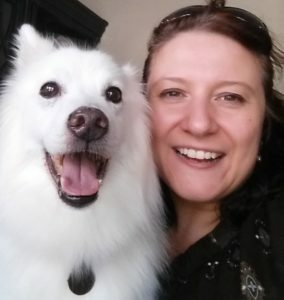 As one of our full-time groomers, MaryHelen takes much pride in being able to bring her professional services to dog owners. Her goal is providing a higher level of personal care and attention to each client. Each dog client holds a special place in her heart. MaryHelen and her husband, Harry, share their home with Molly (Standard Poodle), Peaches (Pomapoo), and their newest addition, Georgia (Yorkshire Terrier puppy). Jeff has been a groomer in the CSRA for 17+ years, and brings a wealth of grooming expertise to Paws in Paradise Luxury Resort & Spa. When he grooms, he treats every puppy like they’re his own, and tries to make the experience as enjoyable as possible. Jeff specializes in large breeds, but there is a special place in his heart for terriers. Jeff has a knack for keeping the most restless dogs calm while they are on his table. 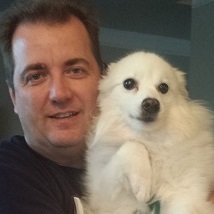 Jeff is also a full-time groomer, and when he is not taking care of everyone else’s dogs, Jeff goes home to his wife Amy and their cairn terrier, Sir Spanky Mchumpy. 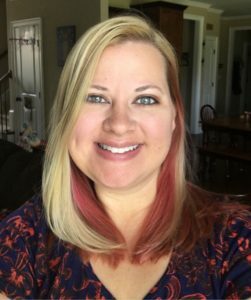 Jen has been working in the grooming industry on and off since she was 13 years old. She is a 4th generation groomer, and comes from a large family of groomers, breeders, and conformation show handlers. Not surprising, grooming is Jen’s passion, and she loves to make every dog look their best. 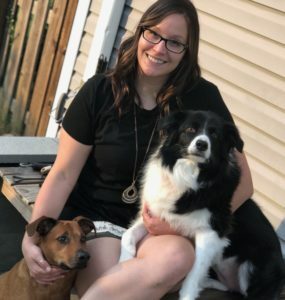 When she is not grooming, Jen loves reading and spending time with her husband Kevin, her three children Connor, Cameron, and Ellie, and her furkids Bindi (Jack Russel mix) and Hazelnut (kitten). Shannon has always had a love for dogs and animals, which was inspired by growing up surrounded by dogs. Helping animals is a big part of her life, from rescuing dogs and finding them forever homes to taking care of her own and her family’s fur babies. She has been a dog groomer for 3+ years and couldn’t imagine doing anything else other than working with dogs all day. Shannon attends the Annual Pet Fair in Atlanta, GA to advance her knowledge in grooming and pet care techniques, and is currently certified in CPR/First Aid by Pet Tech. Shannon is Mommy to fur kids Jade, (Anotolian Sheppard/Great Pyrenees age: 12), Monroe, (Pitbull/Beagle age: 7), Dutchess, (Dachshund age: 4), Coheed, (Pitbull/Husky age: 2), and an orange tabby named Oliver Bigglesworth (age: 1). 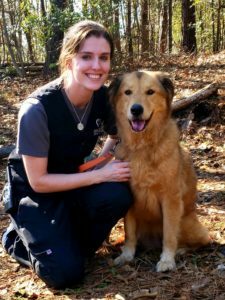 Shannon’s plans to obtain a vet tech degree, so she can provide even better quality care to the animals that bring her so much joy.